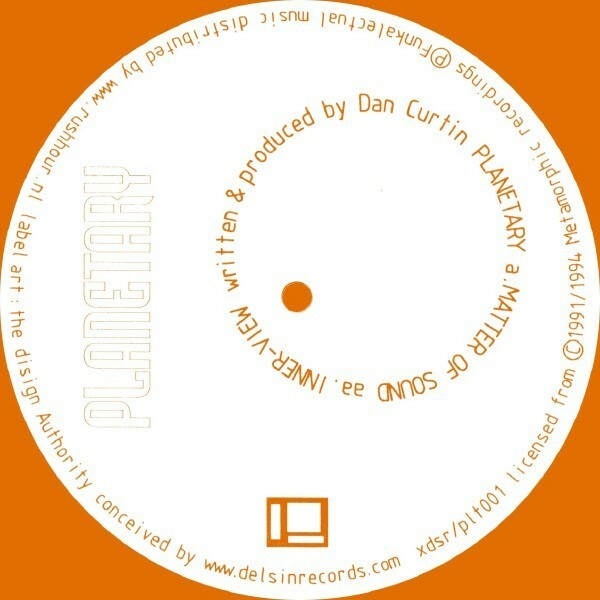 Planetary aka Dan Curtin! This 10" is a first in a series, having Delsin re-releasing their (hidden) beauties and classics out of techno history. Early Dan Curtin works! Twice spaced-out hi-tech jazz, from the early nineties. 'Matter Of Sound' was released orignally on a limited 7", and 'Inner View' is taken from the first Planetary EP from 1991, both from Dan's label Metamorphic.